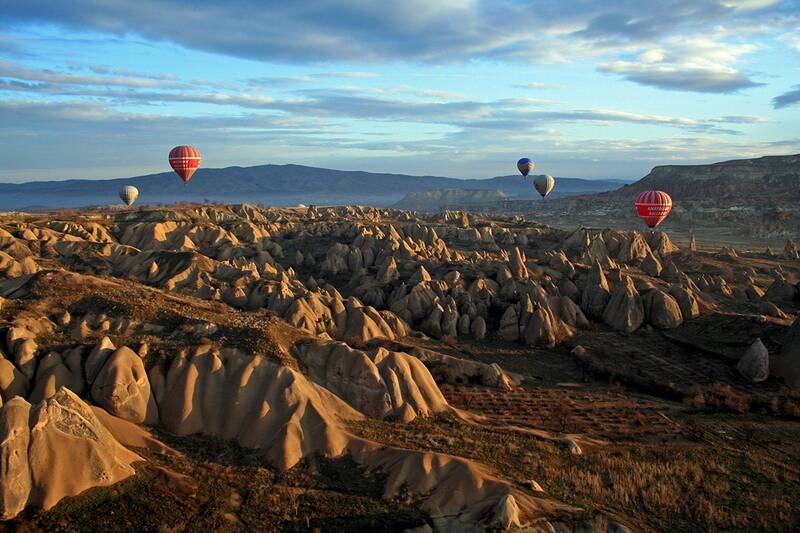 Below are listed the most amazing natural and man made landmarks of Asia. Tushuk Tash (Shipton’s Arch) – China, Xinjiang Uyghur Autonomous Region. Possibly the highest natural arch of the world and one of the most impressive ones. Height – some 360 – 370 m, width – around 65 meters. Gua Nasib Bagus with Sarawak Chamber – Malaysia, Sarawak. Contains the largest known underground chamber in the world which is some 700 meters long, 396 meters wide and 70 meters high. Krubera Cave (Voronya Cave) – Georgia, Abkhazia. Deepest known cave in the world, 2,197 meters deep. 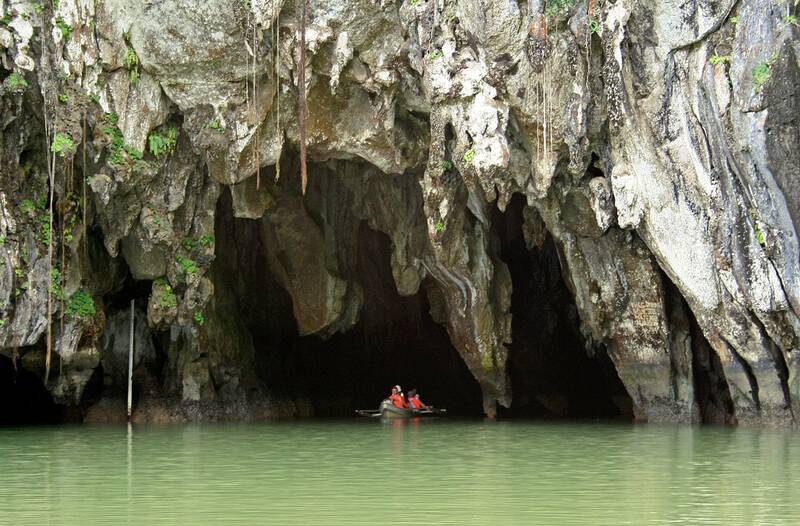 This extensive cave system is also quite long – 16,058 m.
Puerto Princesa Subterranean River (St.Paul Subterranean River) – Philippines, Palawan. More than 24 km long cave system with 8.4 kilometers long underground river, which is accessible directly from the sea and navigable up to 4.2 km deep. Contains also Italian’s Chamber – giant cave hall. Son Doong cave (Hang Sơn Đoòng) – Vietnam, North Central Coast, Quang Binh province. Biggest known cave in the world. Especially impressive is the more than 4 km long passage, which is continuously 90 m wide and up to 200 m high. Total known length of this cave is 9 km. Powerful stream flows through the cave. Here are found unique cave pearls as large as baseballs, as well as green, algae covered gours. Xiaozhai tiankeng – China, Chongqing Municipality. Largest sinkhole (tiankeng) in the world, up to 662 meters deep, 625×535 meters across. 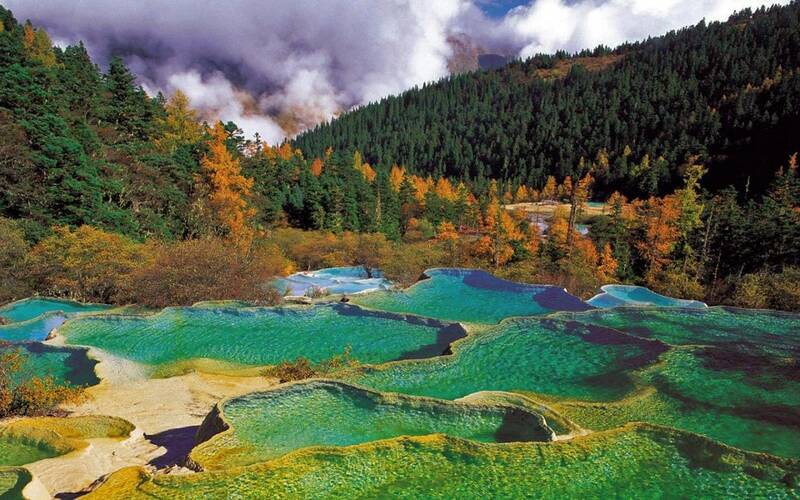 Huanglong Valley – China, Sichuan. Possibly the largest travertine terraces in world, they extend for 3.6 kilometers and are deposited by mildly thermal springs. Valley of Geysers – Russia, Kamchatka Krai. Second largest concentration of geysers in the world, contains some 90 geysers and many other geothermal landmarks. Velikan Geyser erupted up to 40 m high. Bayanzag (Flaming Cliffs) – Mongolia, Ömnögovi. One of the richest and most interesting fossil finds on Earth. This was the first site where dinosaur eggs were found, here have been found remnants of Velociraptor and other Cretaceous dinosaurs. Mount Everest – Nepal, Sagarmatha and Tibet, Shigatse. 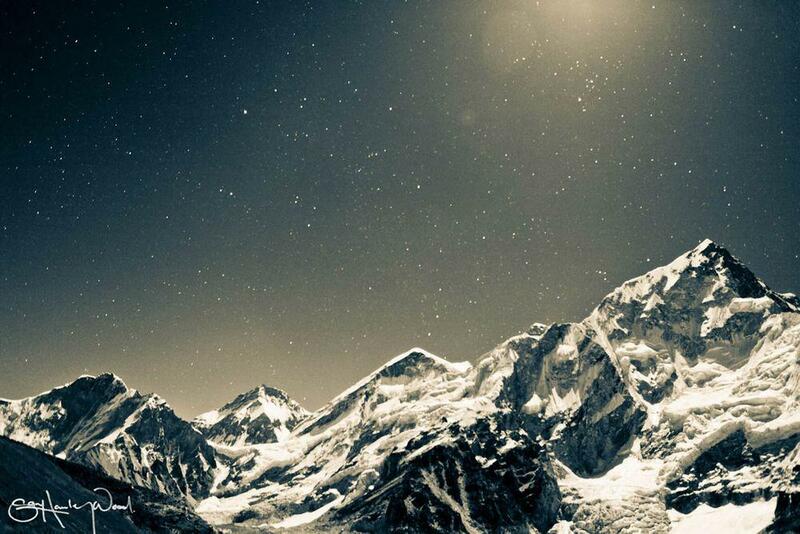 Earth’s highest mountain, 8,848 m high. Liang Bua – Indonesia, East Nusa Tenggara, Flores. In the cave (and only here) were discovered remnants of an extinct, recent species of human – Homo floresiensis. Shanidar Cave – Iraq, Erbil. Cave has provided important discoveries regarding Neanderthals, such as the information about their funeral ceremonies, care for injured individuals. One Neanderthal found in cave seems to be killed by a human. Çatalhöyük – Turkey, Konya. One of the earliest towns in the world, this Neolithic settlement had some 1,000 inhabitants already around 7000 BC and, possibly, up to 10,000 sometimes around 6500 BC. During the excavations have been found multiple valuable items – sculptures, frescoes, home utensils. Eridu – Iraq, Dhi Qar. Possible oldest city in the world, founded around 5400 BC. It became a large city by 2900 BC when its size reached 10 ha and here lived at least 4,000 inhabitants. Declined around 2050 BC. Jericho (Tell es-Sultan) – Palestine, Jericho. The lowest inhabited place and possibly – the oldest continuously inhabited city in the world. Already at 9400 BC here lived more than 1000 people, at 6800 BC the city was fortified with more than 3.6 m tall wall (one of the earliest city walls) and there was a stone watchtower with stone stairway. Since then city has been several times abandoned and resettled – also today there is a city next to the old mound. Mehrgarh – Pakistan, Balochistan. One of the most important Neolithic monuments in the world – a precursor of Indus Valley Civilization. A settlement existed here in 7000 – 5500 BC. Mohenjo-daro – Pakistan, Sindh. Remnants of one of the largest settlements of the Indus Valley Civilization and one of the earliest known cities in the world with up to 35,000 inhabitants. Developed since 2600 BC and abandoned around 1800 BC. City exhibits great skills of ancient urban planners. Uruk – Iraq, Muthanna. Possibly the oldest true city – metropolis in the world, developed as urban area around 4000 BC. Around 2900 BC there were some 50 – 80 thousand inhabitants. Abandoned around the 4th century AD. Notable is Eanna district – possibly the first urban area in the world, where the oldest writings in the history have been found. 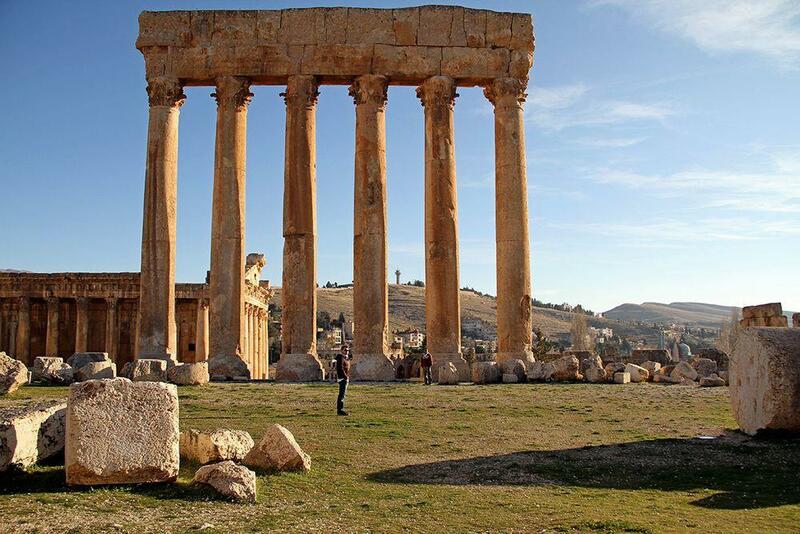 Baalbek – Lebanon, Beqaa. Very old settlement, inhabited for some 9000 years. Especially impressive are the ruins of Roman times, when this was an important regional city. For the construction of Roman temples here were used some of the largest stone blocks ever moved around – up to 1,650 t heavy. Great Court Complex in Baalbek is one of the greatest architectural ensembles in the ancient world. Jerusalem Old City – Jerusalem (Palestinian part). One of most important and holiest cities in world history, one of the oldest cities. Settled in the 4th millenia BC. Current massive walls around the Old City (0.9 ha) were last fortified in 1538 and have 11 gates, 7 are open. Divided in four traditional quarters – Armenian, Christian, Jewish and Muslim. Contains hundreds of monuments of world importance, such as the Dome of the Rock, Temple Mount, Wailing Wall, Church of the Holy Sepulchre, al-Aqsa Mosque. Crossed by Via Dolorosa – path where Jesus carried his cross. 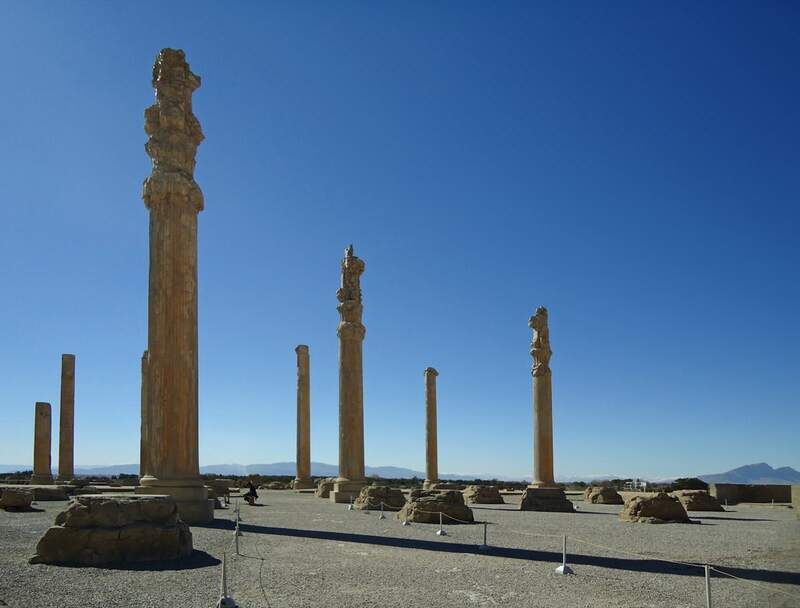 Persepolis – Iran, Fars. Ceremonial capital of Achaemenid Empire, developed since 521 BC on an enormous, partly artificially made terrace. Contains ruins of numerous architecturally impressive buildings such as Apadana Palace, Throne Hall and numerous others. Contains also numerous valuable sculptures and reliefs. Destroyed by troops of Alexander the Great in 330 BC. Petra – Jordan, Ma’an. Ancient capital city of Nabateans, established around the 6th c. BC in the site of ancient sanctuary. Contains some of the most beautiful and intricate rock-cut architecture in the world, available after walking through some 1.2 km long, narrow gorge. 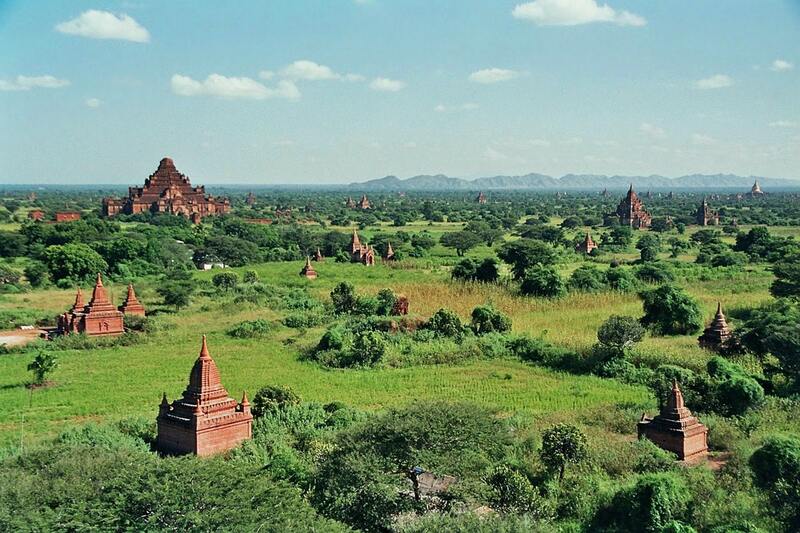 Bagan temple city – Burma, Mandalay Region. An old temple city with 2217 temples (initially more than 5000) built mainly in the 9th – 11th centuries, once the most important center of Buddhism in the region. More than 300 temples contain frescoes. Served as a capital of several ancient kingdoms. Although most of the temples are not in active use, locals continue to use them for some religious activities. These numerous high and beautiful buildings create a unique skyline. Fenghuang Ancient City – China, Hunan. Established in the 7th century AD, this extremely scenic city contains numerous historical buildings and other monuments of history. Old City of Sana’a – Yemen, Amanat Al-Asemah. Impressive display of the unique Yemeni urban planning and architecture. Sana’a is founded before 500 BC and here are buildings which are more than 1,400 years old. The city walls are 9 – 14 m tall, the old city contains more than 100 mosques, 6,500 houses. Most of the houses represent highrise buildings and are ornamented. Old City of Bukhara – Uzbekistan, Bukhara. One of major centers of Persian and Islamic civilizations. Possibly the best preserved medieval city in Central Asia with numerous beautiful buildings. Some of the most beautiful are Po-i-Kalan complex, Lab-i Hauz districts, Bukhara Fortress and many others. Patan Durbar Square – Nepal, Bagmati, Lalitpur. Gorgeous central part of historical city, former capital city of Malla. Floor of square is tiled with red bricks and square is surrounded by ornate buildings. Most of current buildings are from the 17th century, but the history of this ancient town is much longer. Here are found 55 larger temples and 136 interesting courtyards. Heavily damaged during the earthquake on April 25, 2015. Shibam – Yemen, Hadramaut. Unique, fortified city. Shibam is old city, first mentioned in the 3rd century AD. This densely built city has some 500 tower houses, each rising 5 to 11 stories (more than 30 m) high. Most houses have been built since the 16th century. City is enclosed with wall. Sigiriya – Sri Lanka, Central. One of the most interesting monuments of urban planning worldwide. Sigiriya was developed around and on the top of nearly 200 m high rock peak. The construction took place in 477 – 495 AD. Later, until the 13th or 14th century this city was used for Buddhist monastery. This complex includes several unique monuments which include a giant lion whose mouth serves as the entrance to rock fortress and beautiful frescoes – a masterpiece of world importance. Varanasi – India, Uttar Pradesh. Ancient holy city of Buddhists, Hindu and Jains, with approximate 3000 years age one of the oldest inhabited cities of the world. Contains huge amount of valuable monuments of architecture and history, location of living unique traditions. Historical centre of Yazd – Iran, Yazd. Enormous, authentic historical city built entirely of adobe. It is characterized by multiple beautiful houses and amazing ancient desert city infrastructure. Infrastructure includes one of the most sophisticated system of qanats – underground water supply system – in the world, as well as system of wind catchers for ventilation of city and numerous underground structures. Ancient center of Zoroastrianism with a Fire Temple having eternal fire since 470 AD. 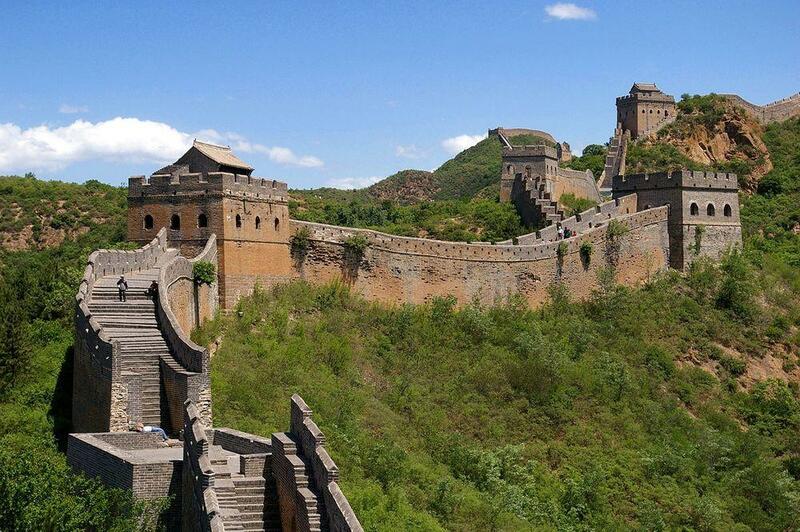 Great Wall of China – China, Beijing Municipality, Gansu, Hebei, Inner Mongolia, Lianoning, Shandong and other. Parts of wall also in Mongolia. Largest series of fortification in world with a total length 8,852 km, including 6,259.6 km of actual wall. Built in the 5th century BC – 16th century AD by Chinese to protect northern borders of the Chinese Empire against intrusions by northern nomads. The oldest fraction is Great Wall of Qi (in Shandong) – approximately 600 km long section of wall built 685 BC. Krak des Chevaliers – Syria, Homs. One of the most prominent and impressive medieval castles in the world. Kurds developed a fortress since the 11th century here, but Crusaders rebuilt it in the 1140ies – 1170ies and in the 13th century. Forbidden City – China, Beijing Municipality. World’s largest palace complex – Chinese imperial palace, which takes whole part of city. This complex of buildings for some 500 years was the center of the Empire of China. Built in 1406 – 1420, includes 980 buildings. Contains art collections of very high importance. 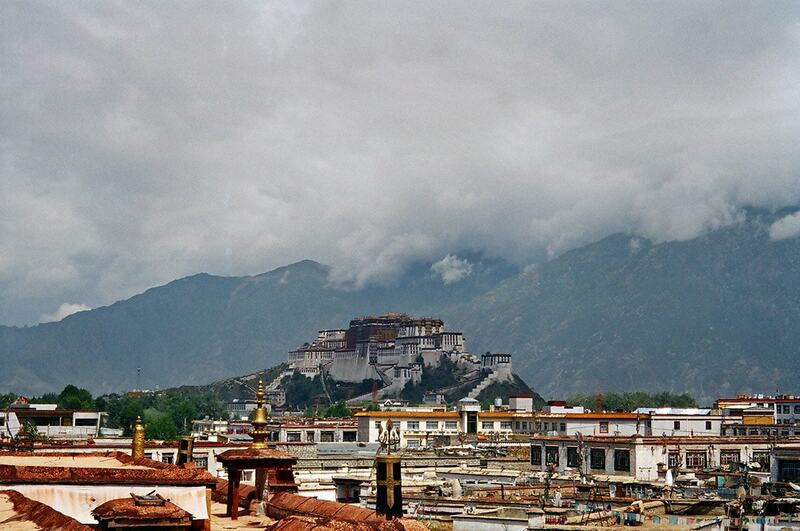 Potala Palace – Tibet, Lhasa. A monument of world importance, this is the chief residence of the Dalai Lama. The first palace was built here in 637, while the current palace was built in 1645 at 13 floors and 117 meters high. It contains 1000 rooms and numerous monuments of art and knowledge, although most of them have been lost since the Chinese invasion. Chogha Zanbil – Iran, Khuzestan. 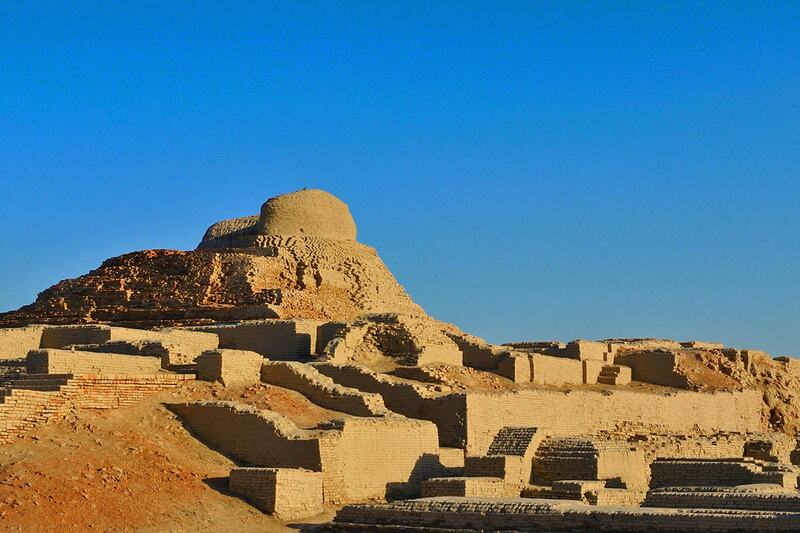 The best preserved remnant of ziggurat in the world, built around 1250 BC. Devoted mainly to god Inshushinak. Remnant of ziggurat is 25 m high, one side is 105 m long. Göbekli Tepe – Turkey, Şanlıurfa. This oldest place of worship in the world (the 10th millenium BC, late Mesolithic – early Neolithic) has several monolithic stone pillars, up to 3 meters in height with carved reliefs and pictograms. Ajanta Caves – India, Maharashtra. Exceptional monument of archaeology and art – group of caves which have been made in rock, for most part in the 2nd century BC. Caves contain elaborate carvings and frescoes, often are reinforced by massive stone columns left from original rock. 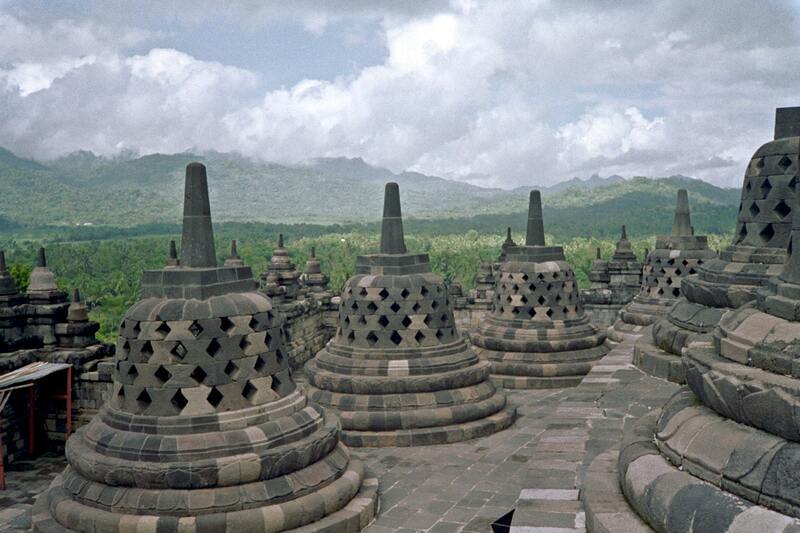 Borobudur – Indonesia, Central Java. This Mahayana Buddhist temple complex was built in in the period between 760 and 830 AD. One of the most impressive ancient temples in the world, largest Buddhist structure in world. This pyramid-shaped shrine is adorned with 2,772 sculpted panels and 504 Buddha sculptures, it is 35 m high, each side is 123 m long, whole structure is of high symbolism and represents Buddhist cosmology. Ellora Caves – India, Maharashtra. One of the most impressive rock-cut architectural monuments in the world, built between 550 – 1000 AD. 34 caves contain Buddhist, Hindu and Jain sanctuaries. Includes Kailasanatha (Kailash Temple) – possibly the most splendid rock-cut cave in world. Jetavanaramaya – Sri Lanka, North Central, Anuradhapura. Tallest stupa ever built – 122 m tall, for many centuries the third tallest building in the world after the pyramids of Giza. Constructed in the 3rd – 4th century AD. The construction of this giant structure required much innovation. 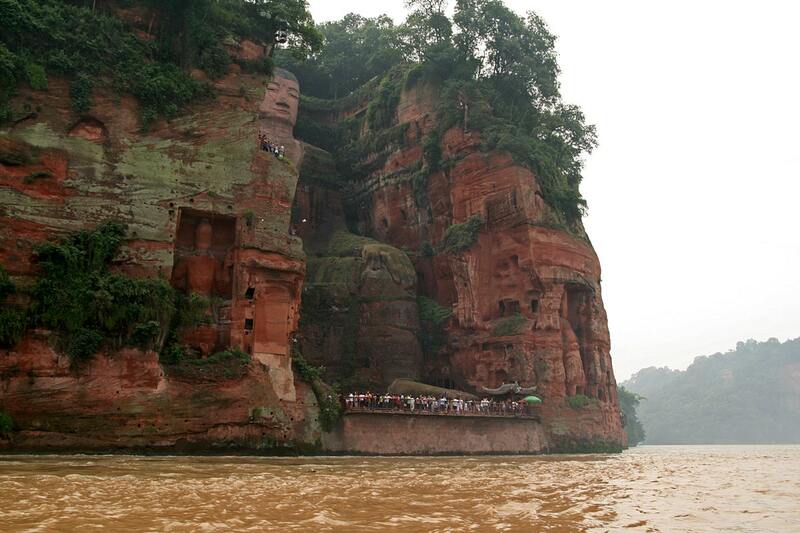 Leshan Buddha Statue – China, Sichuan. Giant, 71 m tall rock-cut statue of seated Buddha, made in 713 – 803 AD. It was made to pacify the roaring river which took lives of many people. After construction of statue river really became more quiet – possibly due to debris loaded in the river. Longmen Grottoes – China, Henan. One of the most impressive monuments of rock-cut architecture in the world – complex of Buddhist cells and shrines. 2,345 rock cut chambers, more than 100,000 statues made in 316 – 907 AD. Paro Taktsang – Bhutan, Paro. This Buddhist monastery is in a dramatic setting on the side of a cliff, 700 meters above the bottom of valley. It was built in 1692. Next to the monastery is located the 60 m high Taktsang waterfall. Shwedagon Pagoda – Burma, Yangon Region. Gilded and 98 meters tall, this stupa is richly adorned with jewels. 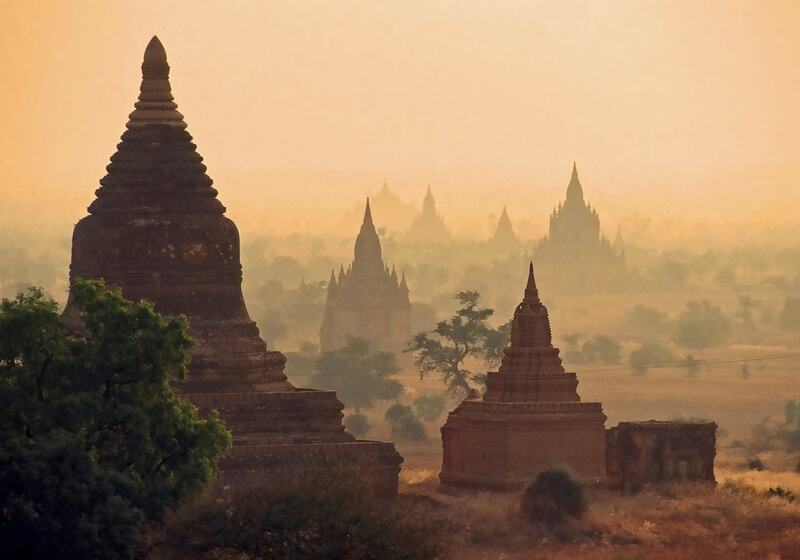 It is the most sacred pagoda in Burma. Initially built in the 6th century, rebuilt and extended, one of the most impressive architecture monuments in the world. 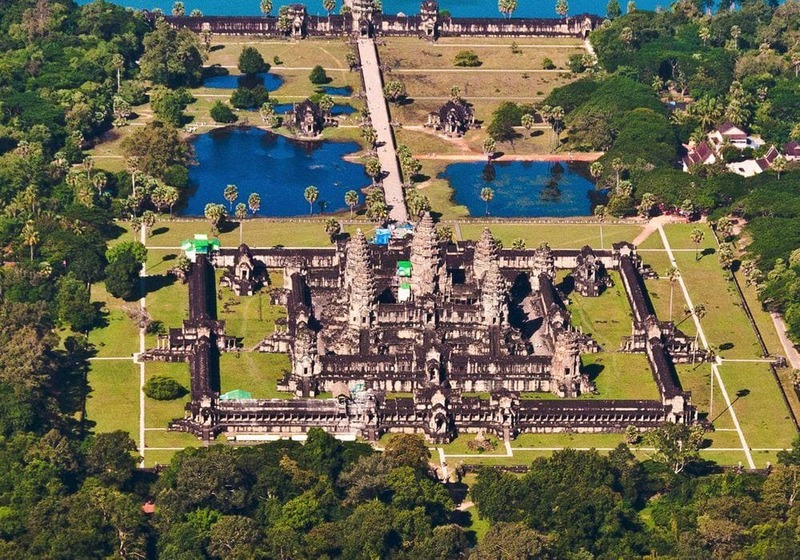 Angkor Wat – Cambodia, Siem Reap. Considered to be the single largest religious complex in the world, built in the ancient capital of Khmers in the early 12th century. Considered to be one of greatest achievements of humankind in architecture. Initially built as a Hindu monument, later converted into Buddhist temple complex. Temple is adorned with more than 1 thousand m² of high quality bas-reliefs. Bayon – Cambodia, Siem Reap. Most beautiful and largest Buddhist temple in ancient Khmer capital Angkor Thom. Built in the late 12th – early 13th century AD. Adorned with numerous large towers, contains numerous artworks. Prambanan – Indonesia, Central Java. One of the most beautiful temple complexes in the world, this Hindu temple was built around 850 AD. Central tower is 47 m high. Whole complex is rich with symbolic meaning and contains numerous art values. Sri Ranganathaswamy temple – India, Tamil Nadu. One of largest and most grandiose religious complexes in world, largest in India, covers 63 hectares. Includes 72 meters high gopuram – ornate tower. 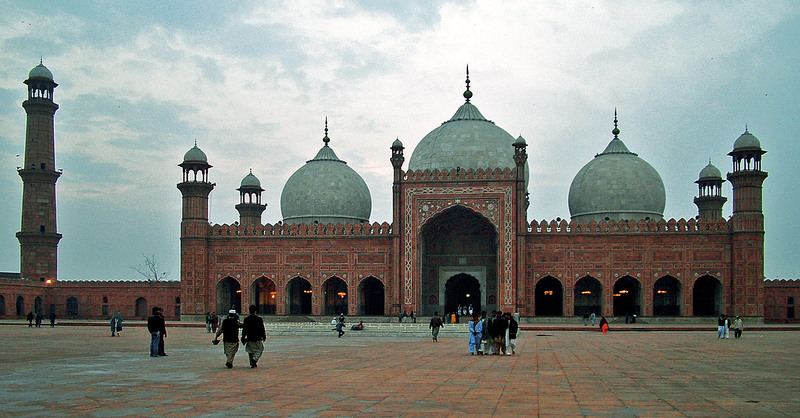 Badshahi Mosque – Pakistan, Pundjab, Lahore. Largest mosque in the world in the time period from 1673 to 1986. Building has gorgeous architecture, it is one of the highest achievements of Mughal architects. Blue Mosque of Tabriz (Kaboud Mosque) – Iran, East Azerbaijan. Mosque of unique beauty built in 1465, heavily damaged in earthquake in 1779. Reconstruction on-going. Interior and exterior is covered with turquoise colored mosaic tiles of unusual sophistication and beauty. Dome of the Rock – Jerusalem (Palestinian part). A Muslim shrine, built in 691 AD over Second Jewish Temple and refurbished many times since then. Intended as a shrine for piligrims and not a mosque. The building is not typical for Islamic architecture (in Byzantine style) as this was an attempt to compete with Christian and other architecture in Jerusalem. At the heart of this building is Foundation Stone – the most sacred site for Judaists. The large, gilded dome of this building is one of the most noticeable features in Jerusalem skyline. A model for Templar churches around Europe. Imam Ali Mosque – Iraq, Najaf. This mosque was established in 977 and contains the burial place of the cousin of Muhammad – ‘Alī ibn Abī Tālib, as well as, according to Shi’a belief, Adam and Noah. The current gold-covered building was constructed shortly after 1500. It is one of most important Islam sites. Masjid al-Haram – Saudi Arabia, Makkah. The largest mosque in world, it was built in 638 AD to surround the Kaaba – holiest site of Islam. Contains several other sacred places, including Zamzam Well, which is widely believed to be a miraculous natural spring but in reality is handmade well. Harmandir Sahib (Golden Temple), Amritsar, India / K.Wieland, CC-BY-SA-2.0. Church of the Nativity – Palestine, Bethlehem. Supposed location where Jesus Christ was born – the Holy Crypt is under the church. One of the oldest continuously operating churches, worshiped since around 100 AD. Current basilica built in 565. 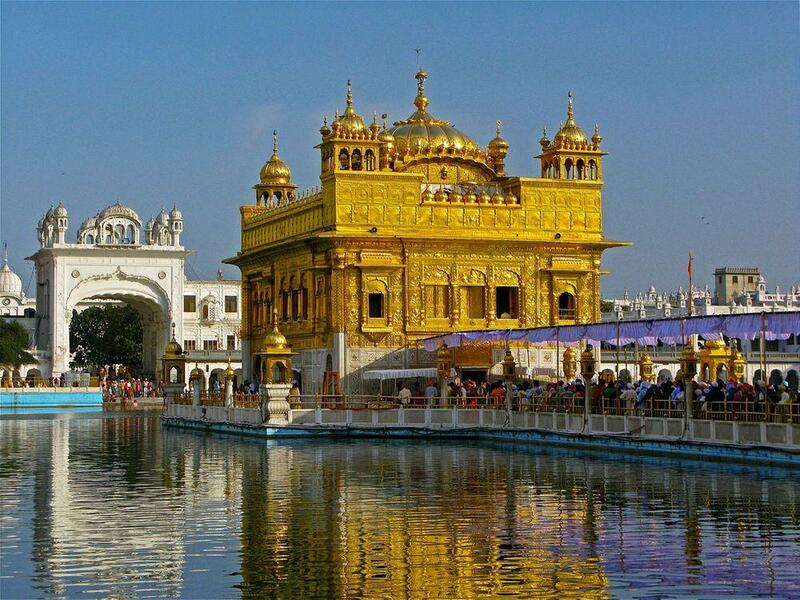 Harmandir Sahib (Golden temple) – India, Amritsar in Punjab. Main temple of Sikhs, built in the 16th century. Ornate, gold coated structure. Ikh Khorig – Mongolia, Khentii. Somewhat mysterious, approximately 240 km² large area, which is carefully guarded for many centuries since the death of Ghengis Khan in 1227. It is possible that here is located tomb of Genghis Khan. This beautiful woodland was guarded by Darkhad, who killed anyone entering it. In Socialist times it was heavily guarded by armed forces, now opened only for scientific research. Many Mongols consider that disturbance to this place can cause a catastrophe to mankind. Temple Mount – Jerusalem (Palestinian part). A sacred site of huge importance for many millenia. This has been sacred site for Judaism, Christianity, Islam, Roman paganism. According to Judaism some aspect of Divine Presence is present here. On the mount is built Al Aqsa Mosque – third most sacred site for Muslims and Dome of the Rock with the Foundation Stone, as well as several more valuable structures. Also – one of the most contested religious sites in the world, especially between Judaists and Muslims. Here started the development of Jerusalem in the 4th millenium BC. Under the Temple Mount is a maze of underground passages. Hamad (Karszakkan) burial mounds, A’ali burial mounds and other sites – Bahrain, Northern Governorate. Very impressive sets of many thousands of burial mounds – tumulus. Burials have been shaped by the people of Dilmun civilization and other cultures. There are 9 more burial fields. Mausoleum of Qin Shi Huang or Terracotta Army – China, Shaanxi. 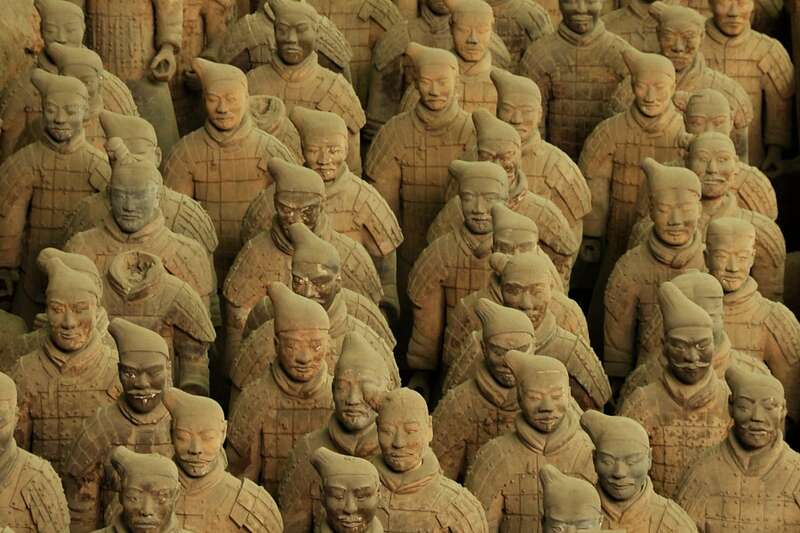 Unique monument of culture: buried terracotta sculptures – army soldiers near the mausoleum of the First Qin Emperor, made around 210 BC. In total here in have been buried more than 8,000 sculptures of soldiers, 130 chariots with 520 horses and 150 cavalry horses, all made in live size and bigger, all depicting individual people. Plain of Jars – Laos, Xiangkhouang. More than 90 separate sites with unique megaliths – giant, 1 – 3 m high stone jars, occasionally with stone lids preserved. In some sites is just one jar and in some – even 400 jars. In Ban Phakeo site stone lids are adorned with animals. Megaliths created in 500 BC – 500 AD and used as human burial sites. Most investigated and most photographed is Site 1, as well as several more which have been cleared of unexploded bombs. Site 52 contains 392 jars – the largest number. Taj Mahal – India, Agra in Uttar Pradesh. Mausoleum, built in 1648 by Mughal Emperor Shah Jahan. One of the most iconic monuments of architecture in world, unites elements of Islamic, Persian and Indian architecture. Battad rice terraces and Banaue Rice Terraces – Philippines, Ifugao. Some of the most impressive rice terraces in the world, up to 2,000 years old. 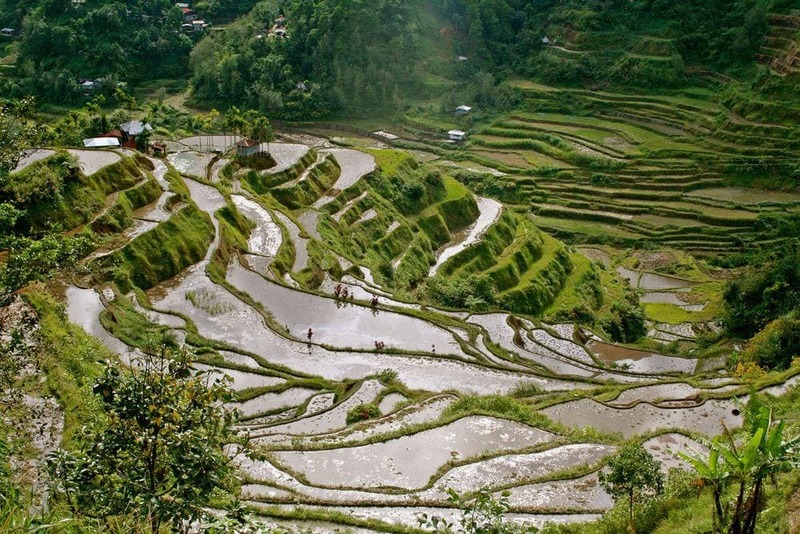 In the vicinities of Banaue village there are many more impressive complexes of rice terraces. These structures represent the high skills of Ifugao people to regulate water balance and ecological balance. They managed to convert into agricultural land even 70° steep hillsides. Rice terraces are the only stone structures developed in Philippines before the coming of Europeans. Unnamed stone block in Baalbek (II) – Lebanon, Baalbek in Beqaa. The world’s largest known monolith of single stone intended to move. Weight – 1,650 tons, 19.6 m long, 6 m wide, at least 5.5 m high. Not moved. World’s first permanent settlements and cities. Very first permanent settlements appeared in the Near East – either in Turkey (signs of a settlement around Göbekli Tepe shrine around 9100 BC and Çatalhöyük village around 7500 BC), or Jericho in Palestine (first fortified settlement since 6800 BC). True cities first appeared in Mesopotamia – Uruk (Iraq, ancient Mesopotamia) might be the oldest metropolis, with some 50 – 80 thousand inhabitants in 2900 BC. Shrines, religious architecture. By far the largest and most impressive religious structures are located in Asia. Europeans might be deservedly proud of magnificent Christian churches but the grandeur of ancient Buddhist and Hinduist architecture overshadows this. None can beat the fantastic temple city of Bagan (Burma), thousands of rock-cut temples in India and China or world’s largest shrines – Hinduist temples in South India and Cambodia. Very special place for modern civilization is Jerusalem: a kind of navel, site at the crossroads of history and religions. If one compares Persepolis to the marvels of modern architecture it becomes clear: not that much has been achieved over the last 2500 years. The overall quality of the planning, construction and craftsmanship in Persepolis is comparable to the achievements of modern architecture / construction with all its hordes of educated experts, computers and global experience. Charles Holcombe begins by asking the question ‘what is East Asia?’ In the modern age, many of the features that made the region – now defined as including China, Japan, Korea and Vietnam – distinct have been submerged by the effects of revolution, politics or globalization. Yet, as an ancient civilization, the region had both an historical and cultural coherence. This shared past is at the heart of this ambitious book, which traces the story of East Asia from the dawn of history to the twenty-first century. Dragons and Tigers: A Geography of South, East, and Southeast Asia, Third Edition is the only book that covers all three regions – South Asia, East Asia, and Southeast Asia. It is the most comprehensive book on the market for a Geography of Asia course. It contains updated and additional maps covering distribution of religions, physical features, linguistic and religious pluralism in Southeast Asia, and more. Using a cross-disciplinary approach, the author discusses evolving physical and cultural landscapes.